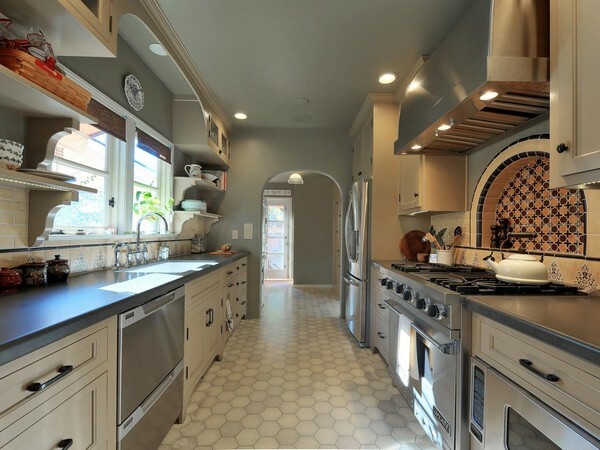 Traditionally, ‘galley kitchen’ was a term given to kitchens in ships and aircrafts. 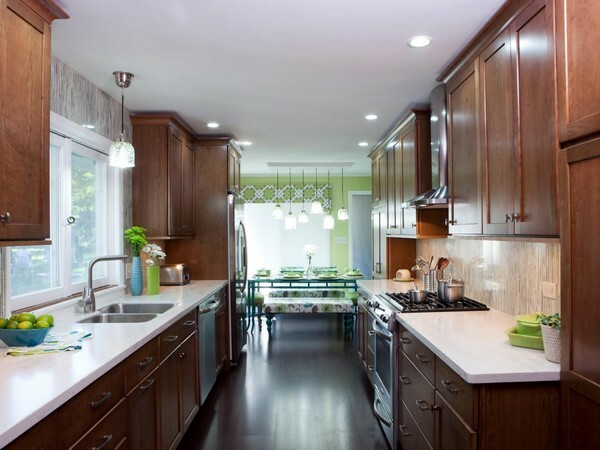 In many cases, these kitchens are small and therefore present serious design and space utilization challenges. 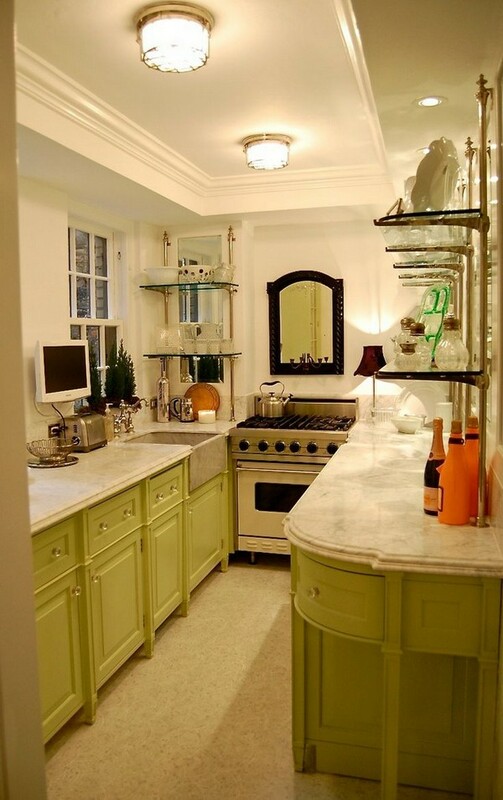 Over the years, however, the galley kitchen concept has shifted from aircrafs and sea vessels and into homes. 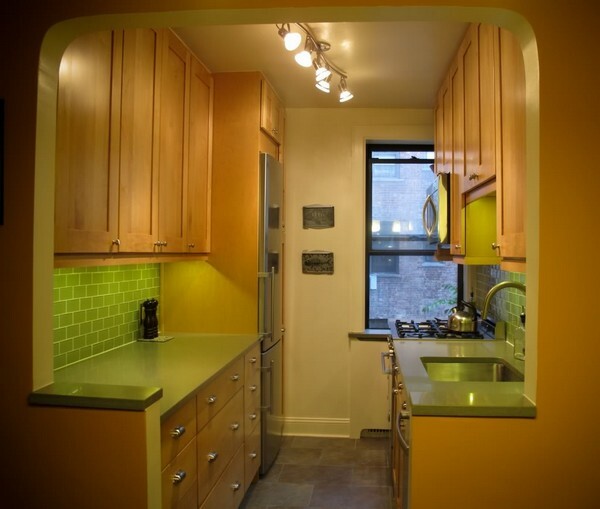 The concept is especially gaining ground among homeowners with tiny kitchens, mainly because of the beautiful design. 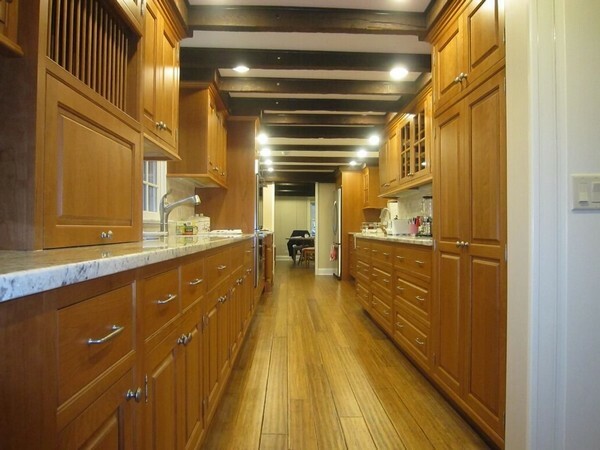 As you will notice in most of the photos, the galley kitchen has a corridor or hallway-like design, with the furniture and other equipment aligned to the wall and a clear path in between. 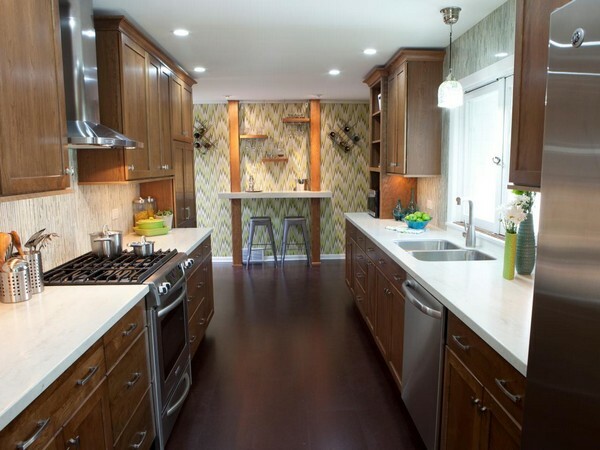 Depending on the amount of space available and how you lay out the plan for your galley kitchen, you can still be able to spare some space for a dining area, as seen in this kitchen. 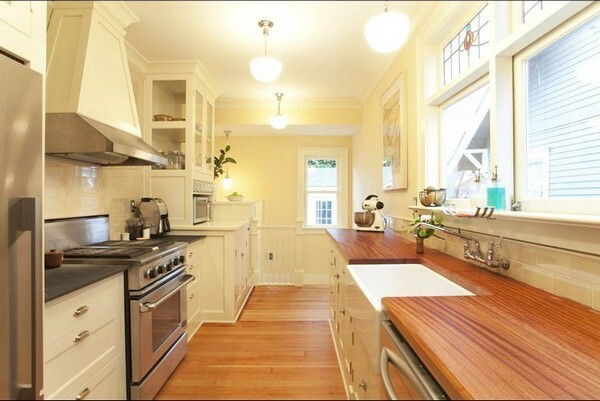 The dining table is small and benches have been used instead of chairs, helping save on space. 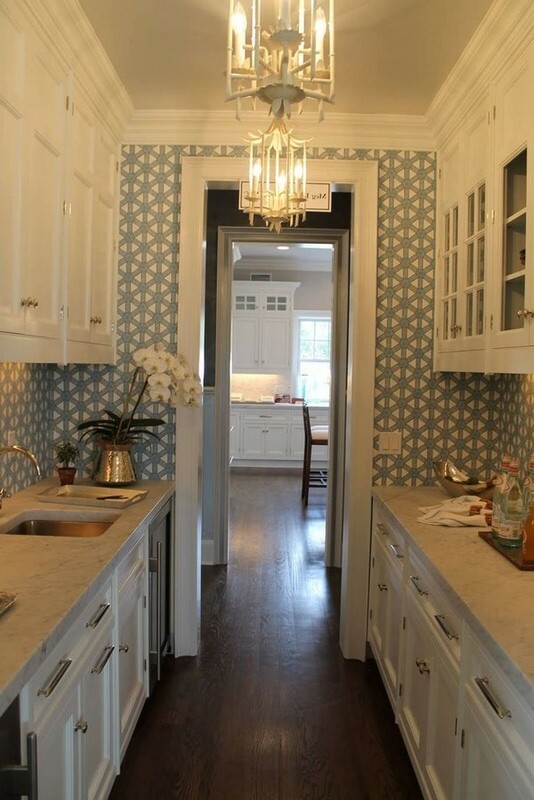 The benches have also been upholstered in a bright and flowery fabric that matches other accessories in the room. 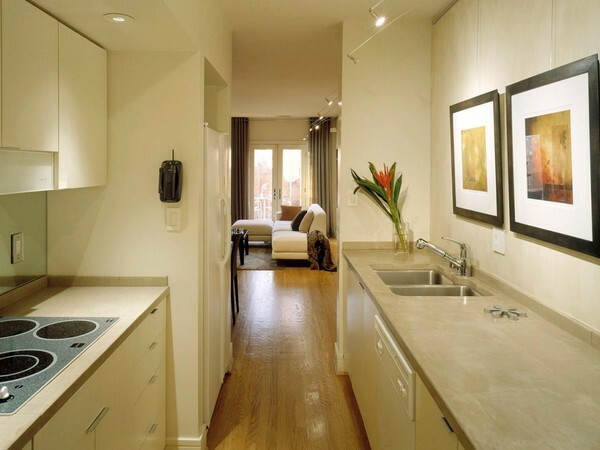 This helps to open up the space visually, while also inducing a casual and lively vibe. 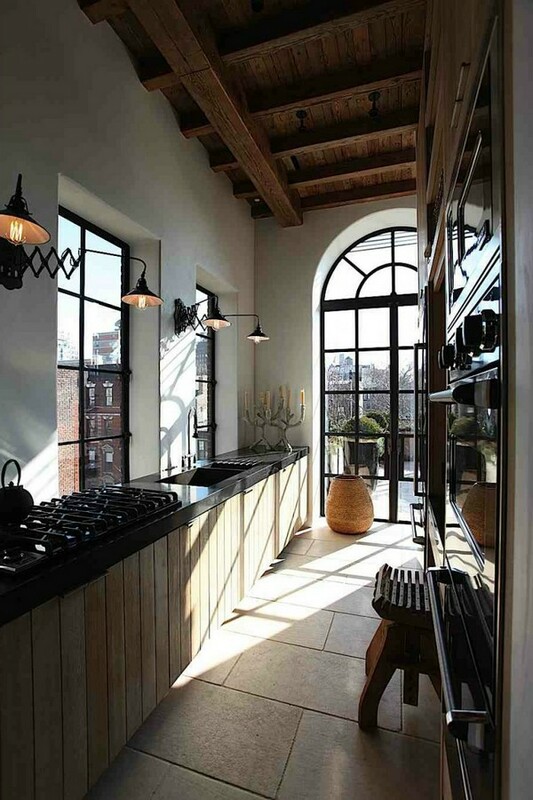 It is also important to keep the furniture away from the entry points of natural light such as windows, as this may darken the room. 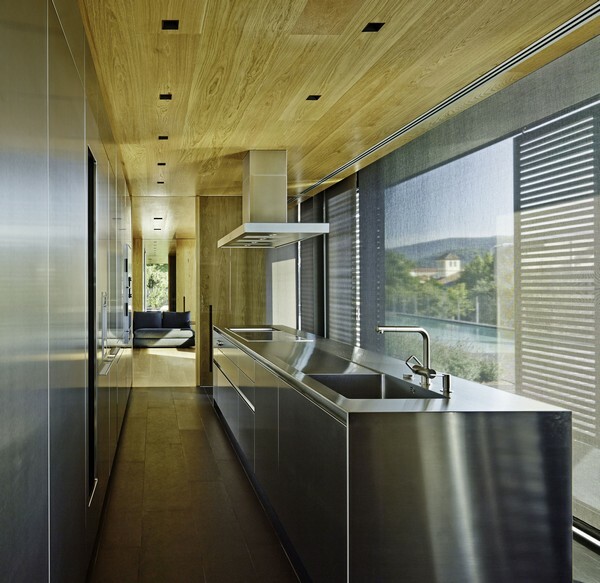 This kitchen combines two concepts into one, a minimalist and a galley design. 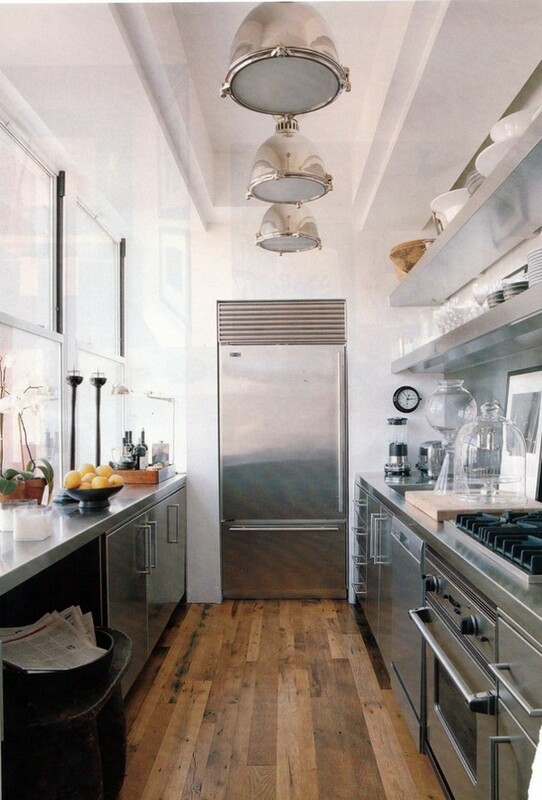 For many galley kitchens, this combined concept works particularly well, proving that indeed, less is more. 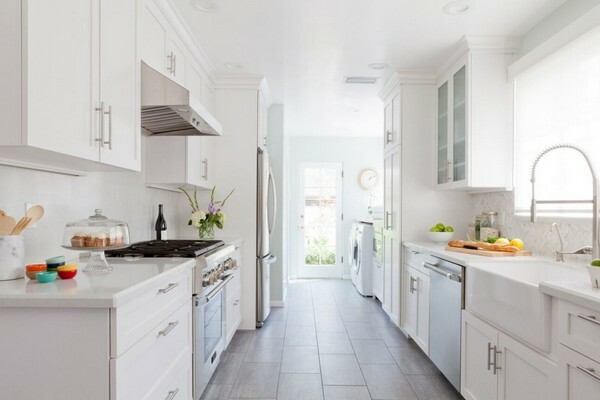 It is advisable to keep your galley kitchen free of unnecessary clutter, as this helps to not only decongest the limited space but also to make it more visually appealing. 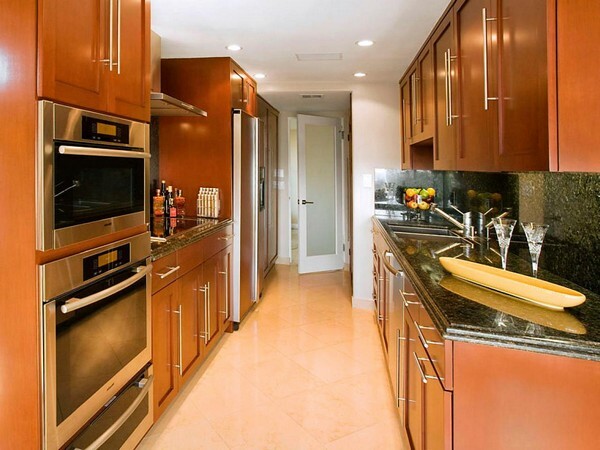 The stainless steel surfaces in this galley kitchen also give it a classy and sophisticated appearance. 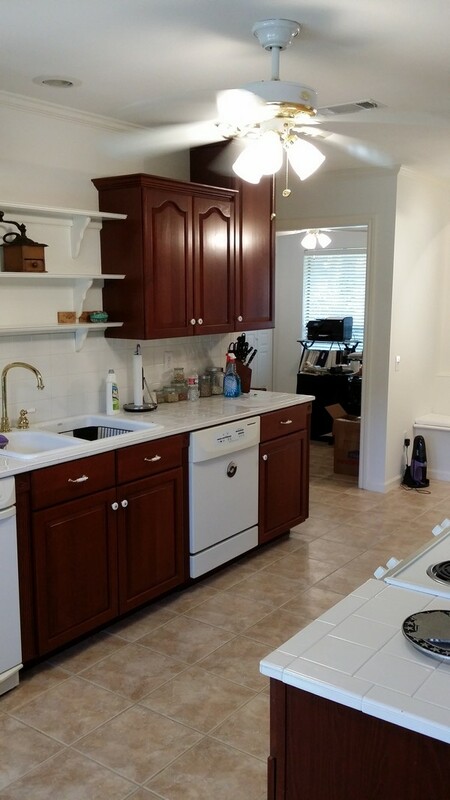 Another important concept to note when designing a galley kitchen is that dark and dull surfaces should be avoided by all means. 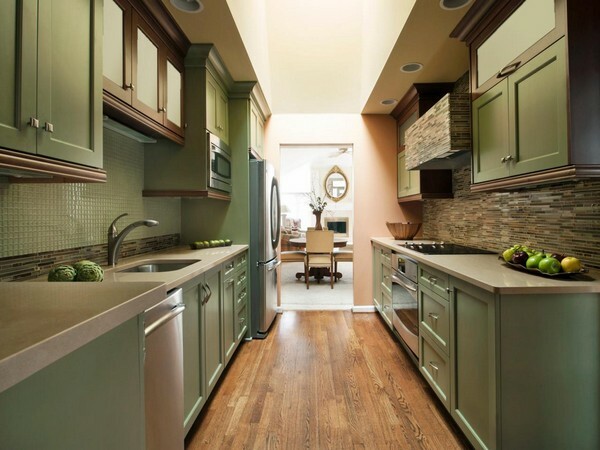 Using dark and dull colors only dampens the space by making it appear dull and dark. 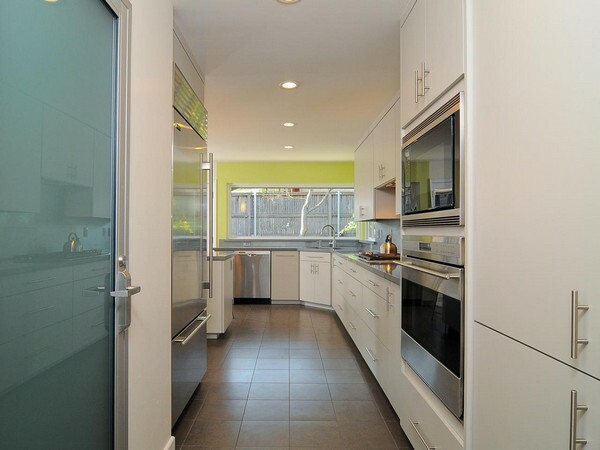 Bright, soft and light colors like white, blue, cream and ivory open up the space so it does not appear too cramped. 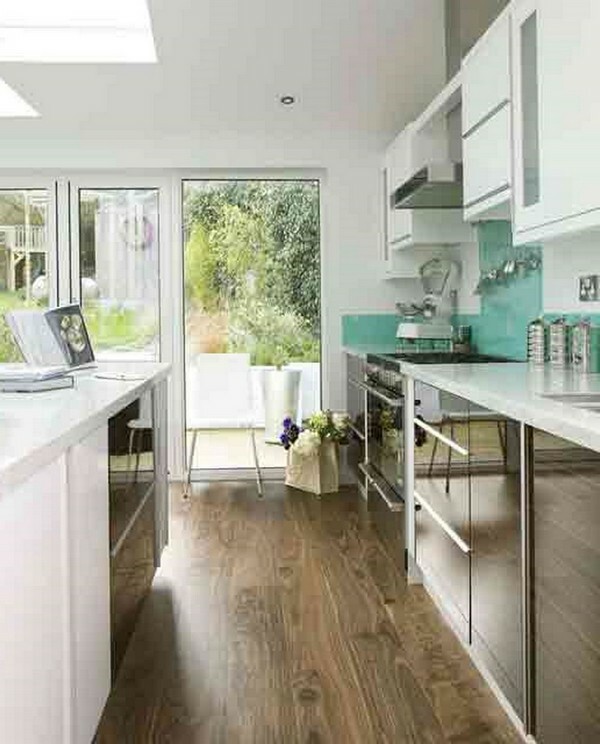 Just like any other room in the house, a galley kitchen can be made to feel livelier and more vibrant through the use of bright accessories. 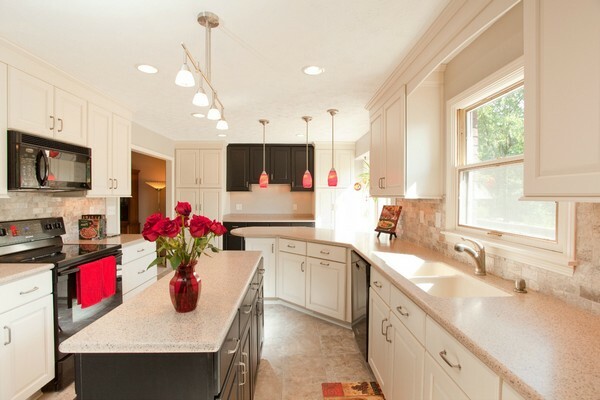 Here, you can see a red kitchen towel, a red vase and flowers, as well as red pendant lights. 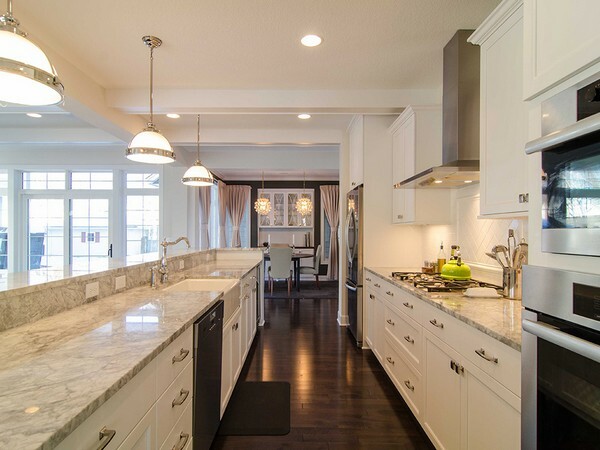 The result is eye-catching and welcoming. 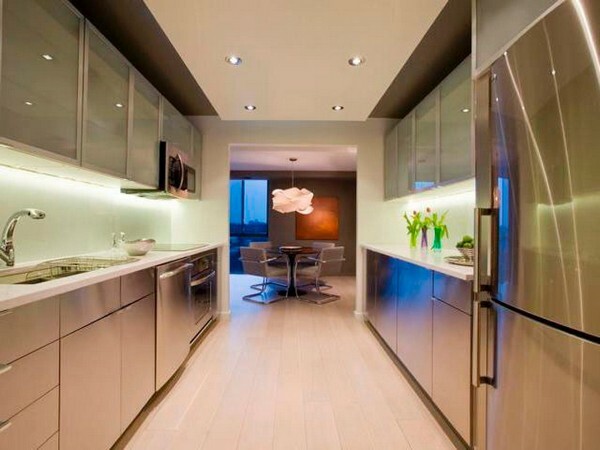 One of the most important factors to consider when designing your galley kitchen is the lighting. 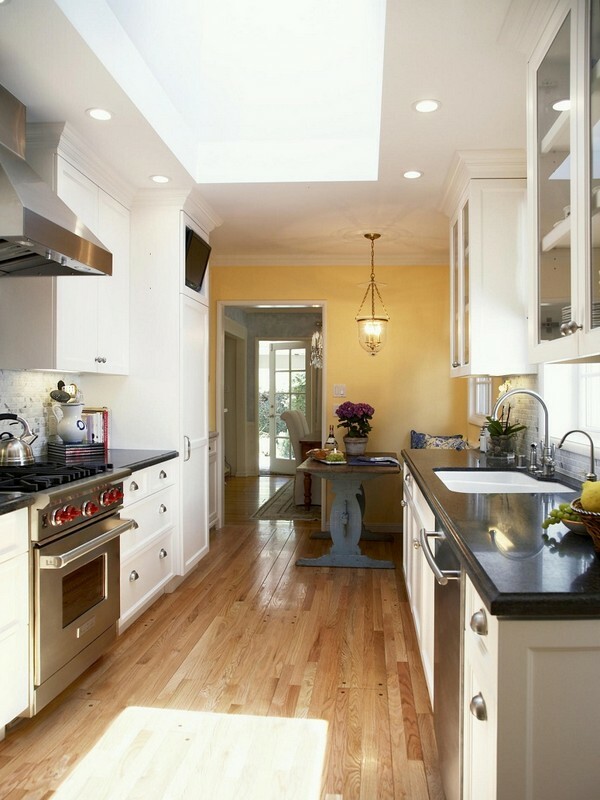 Lighting, especially natural lighting, is an essential element in a galley kitchen. 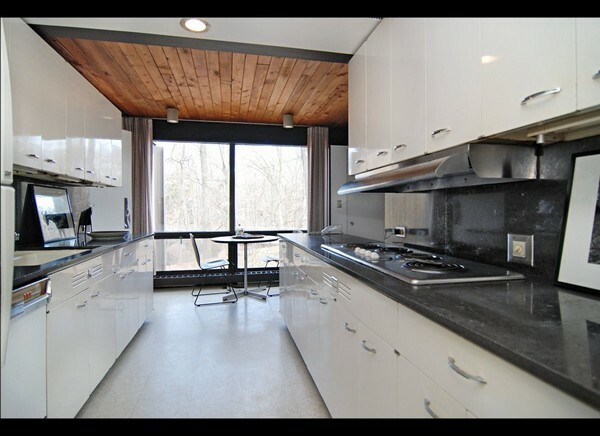 Because of the hallway-like design, the galley kitchen easily appears dark and gloomy. 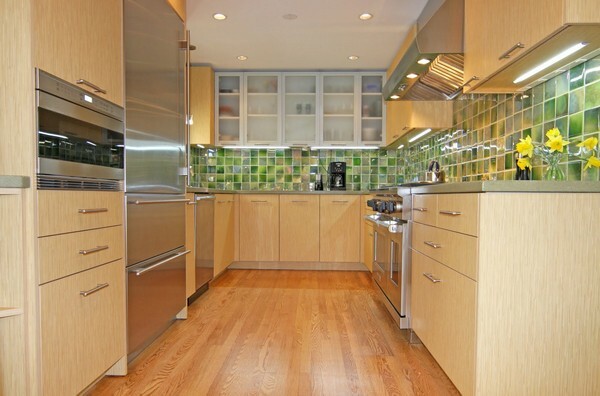 To solve this, you should ensure your galley kitchen has windows or glass doors. 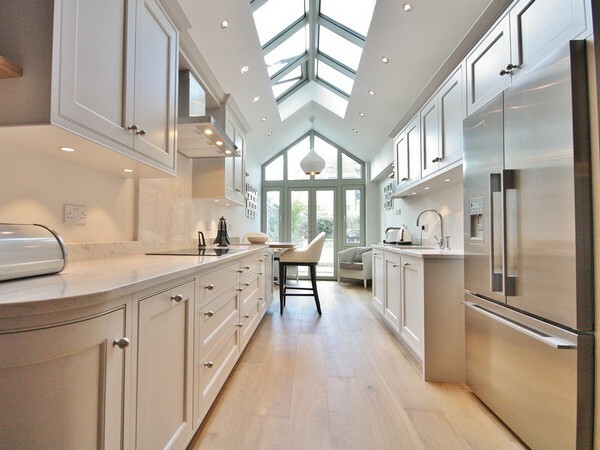 The bigger and the more there are entry points of natural light, the more visually stimulating the kitchen will be. 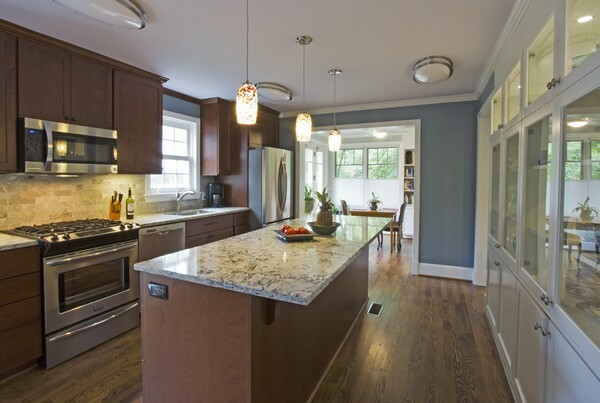 For artificial lighting, pendants and recessed lighting fixtures work best. 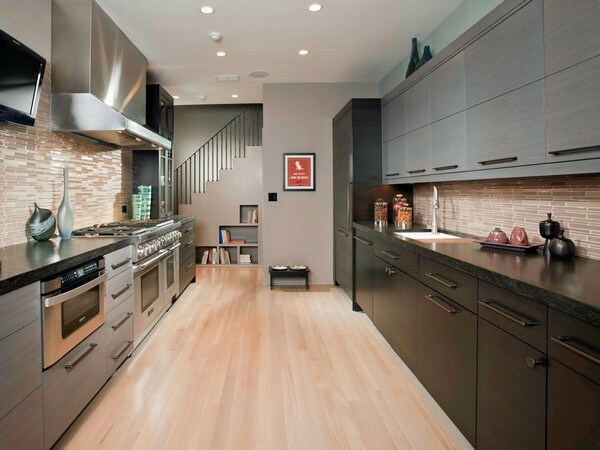 For more ideas on different kitchen designs, take a look at our section on kitchens.